Exclusive! 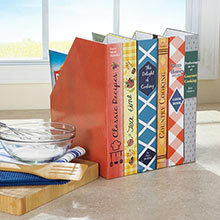 Keep your cooking magazines and catalogs out of sight! 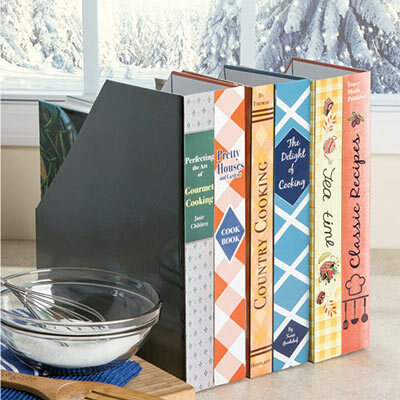 Constructed of heavy-duty cardboard, each Cooking Magazine Keeper's extra-deep design accommodates even the widest magazines. Minor assembly. 3. "w, 11"d, 12."h. Specify: Classic Recipes, Delight of Cooking or Pretty Houses (shown L-R).